Gallaugher, Annemarie. "Toronto Caribbean Carnival (Caribana)". The Canadian Encyclopedia, 02 May 2017, Historica Canada. 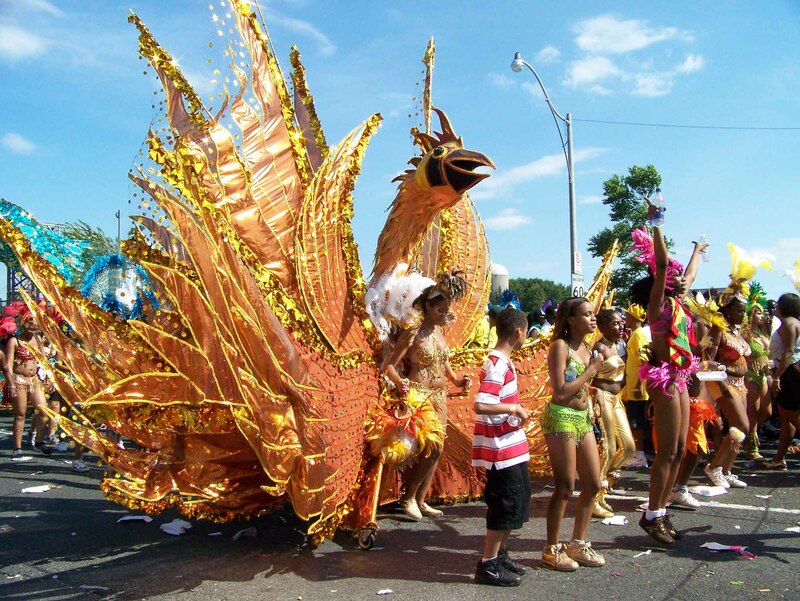 https://www.thecanadianencyclopedia.ca/en/article/caribana-emc. Accessed 18 April 2019. The Caribbean community in Toronto, Ontario, organized this carnival for the first time in 1967 under the name Caribana as part of Canada’s Centennial celebrations. It has since grown into a major summer event, drawing nearly two million people to the city every year. Since 2015, the official name of the festival has been the Toronto Caribbean Carnival, although it is still commonly referred to as Caribana by many. Participants at annual Caribana Parade in Toronto. The Caribana Parade celebrated its 44th anniversary in 2011. Participants in Caribana Parade on July 14 - August 2, 2009, in Toronto. Participants at annual Caribana Parade July 30, 2011 in Toronto. Inspired primarily by Trinidad’s annual pre-Lenten Carnival, this three-week festival of the arts reflects the diverse expressive traditions of the Caribbean, bringing together a wide range of indigenous songs and instrumental music, dances, masquerade and oral traditions. It also features various foods and folk traditions of the region. Since the late 1980s, participation by groups from Central and South America, Africa, the Bahamas, Haiti and elsewhere in Canada has added a dimension of multiculturalism to the festival that is uniquely Canadian (see Multiculturalism). Festival events include calypso “tents” (shows), “jump-ups” (dances), “fetes” (parties), “mas” (masquerade) competitions, a junior carnival, “pan blockos” or “blockoramas” (steel band street parties), and “talk tents” (shows featuring storytellers, comedians and others well versed in oral traditions). Although the Toronto Caribbean Carnival is the official name for the series of events organized by the Festival Management Committee, other organizations and individuals mount carnival-type events during the Caribana season. For example, the Organization of Calypso Performing Artistes (founded in 1981) holds an annual Calypso Monarch Competition featuring the talents of local calypsonians (calypso performers). The Caribana Arts Group, which owns the Caribana trademark, credits itself with having paved the way for other Caribbean festivals held in Toronto on the first weekend of August, such as Irie Fest and Jambana. The highlight of the Caribana festival is the Grand Parade, initially held on Yonge Street and then, by 1970, on University Avenue. Since 1991, it has set out from at the Canadian National Exhibition site and continued on a 3.5 km route along Lakeshore Boulevard. Scheduled on the first Saturday of August in commemoration of the abolition of slavery throughout the British Empire in 1834 (see Slavery Abolition Act), the parade is a spectacular display of costume, sound and colour that winds its way past dense crowds for several hours. Participants in the parade are organized into masquerade “bands” (there were over 40 such bands in the 1990 parade; in 2016, this number was closer to a dozen), each of which is accompanied by live music bands (usually steel and/or brass, but the use of percussion groups is a more recent development). Each masquerade band expresses a particular theme (be it historical, satirical, political or fantasy) and is led by a “king” and “queen” who appear in the most lavish costumes. These bands compete with one another and are judged based on their costumes, energy and creativity. Music is a crucial component of the Grand Parade, as it supports one of the main aesthetic features of a Caribbean carnival: motion (see Caribbean Music). The music is, for the most part, calypso and its newer form, soca (a neologism from soul and calypso). Other musical forms featured are reggae (from Jamaica), tassa drumming (from the East Indian tradition in Trinidad), cadence (from Haiti and Dominica), zuk (from Saint Lucia), Latin salsa and, recently, North American rap and R&B. In addition to the Grand Parade, Toronto’s Caribbean community organizes a kick-off parade called J’ouvert. It, too, is inspired by Trinidad’s carnival tradition. J’ouvert places much more emphasis on rhythmic music than song, featuring steel pan bands and improvised instruments. In 2006, the City of Toronto withdrew its support for the Caribbean Cultural Committee (CCC), the organization that had run the carnival since its inception, due to the CCC’s financial difficulties. In its place, the City formed a committee entrusted with planning the event. 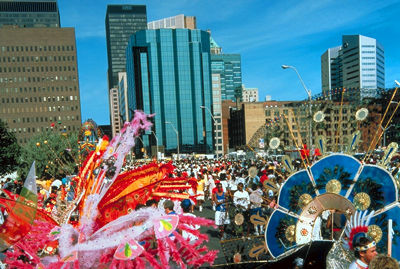 The festival was renamed Scotiabank Caribana in 2008. In 2011, however, a judge of the Ontario Superior Court of Justice recognized the legal right of the Caribana Arts Group (the CCC’s successor) to the Caribana name. As a result, the event dropped the word Caribana, becoming the Scotiabank Caribbean Carnival Toronto. In October 2015, the festival lost its largest sponsor, Scotiabank, and changed its name yet again to become the Toronto Caribbean Carnival. Despite these changes, most people continue to use the name Caribana to refer to the festival. 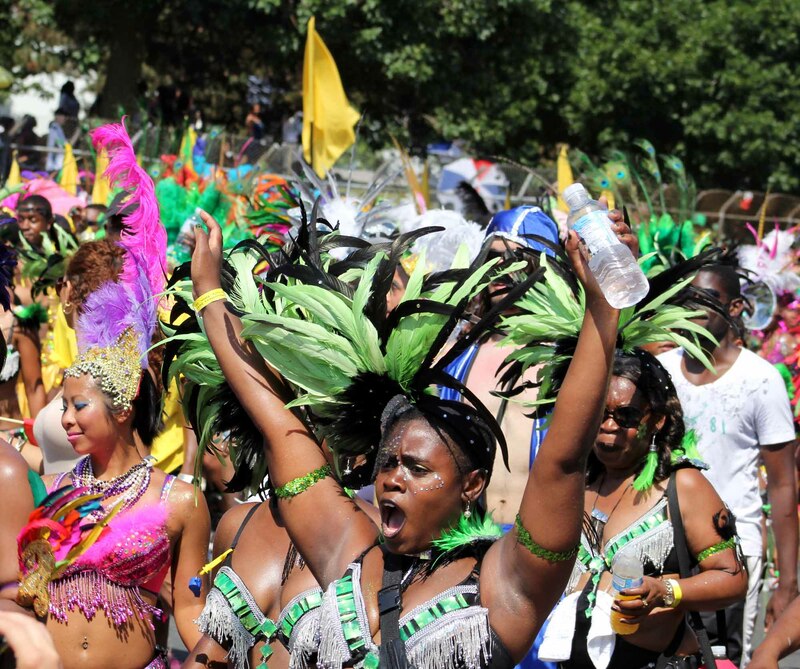 The Toronto Caribbean Carnival is currently the largest festival of Caribbean culture in North America. From its origins as a three-day celebration, the festival has grown to extend over three weeks. It is one of Toronto’s major tourist attractions, bringing more than one million people to the city on the Grand Parade weekend and a total of two million over the duration of the carnival.